To understand how utterly broken our society is, how hostile to sacrifice we are and how willfully ignorant we have become, you need only look at the historic drought hammering the heartland — and how our elected officials are responding to that cataclysm. As you likely know from this arid summer, America is suffering through the worst drought since 1950. According to the United States Department of Agriculture, half of all counties in the nation are officially disaster areas — a situation that has devastated the country's supply of agriculture commodities. Consequently, food prices are expected to skyrocket, and eventually, water-dependent power plants may be forced to shut down. This is a full-on emergency, and USDA, a key agency involved in the national security issues surrounding our food and water supply, last week responded with a minor non-binding recommendation. In its inter-office newsletter to agency employees, it suggested that those who want to conserve water could simply refrain from eating meat on Mondays. The idea is part of the worldwide "Meatless Monday" campaign, which The New York Times notes is backed by "thousands of corporate cafeterias, restaurants and schools." In the face of a drought, it's a pragmatic notion. Cornell University researchers estimate that "producing a pound of animal protein requires, on average, about 100 times more water than producing a pound of vegetable protein." According to the U.S. Geological Survey, that means a typical hamburger requires a whopping 4,000 to 18,000 gallons of water to make. Considering these numbers in juxtaposition to the drought, taking one day a week off from meat-eating seems like the absolute least we should be willing to do in a nation whose average citizen annually consumes an unfathomable 194 pounds of meat. And yet, in Washington, the USDA recommendation was a cause for outrage. That's right; upon the release of the USDA newsletter, lawmakers who have pocketed massive campaign contributions from the meat-centric agribusiness industry were out in force — as if the agency had declared war on the American Way of Life. Rep. Steve King (R-IA) called the recommendation "heresy" and pledged to "have the double rib-eye Mondays instead." Sen. Chuck Grassley (R-IA) told his drought-stricken constituents that "I will eat more meat on Monday to compensate" for the USDA suggestion. And Sen. John Cornyn (R-TX) proudly posted a photo to his Facebook page showing a Caligulian smorgasbord of animal flesh that his Senate colleagues were preparing to scarf down as a protest against USDA. No matter where you come down on the carnivore-vegetarian continuum, this episode should shock, disgust and frighten you. It should shock you that our government's response to such an epic agricultural crisis is a small non-binding recommendation to consume a bit less meat. Indeed, compared to our nation's past reaction to other national security emergencies — from World War II-era recycling campaigns to post-9/11 homeland security spending binges — a "Meatless Monday" suggestion in an internal newsletter is stunningly inadequate. It should likewise disgust you that even this inadequate recommendation has prompted not merely lawmakers' boisterous opposition — but also public displays of gluttony aimed at encouraging Americans to consume even more water-intensive products than ever. If an historic drought can't convince us to even talk about eating less than 194 pounds of meat every year, then how are we ever going to discuss solutions to — much less actively combat — the even bigger crises headed our way? 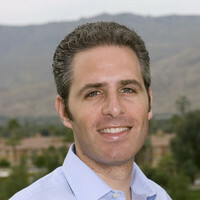 David Sirota is a best-selling author of the new book "Back to Our Future: How the 1980s Explain the World We Live In Now." He co-hosts "The Rundown" on AM630 KHOW in Colorado. E-mail him at [email protected], follow him on Twitter @davidsirota or visit his website at www.davidsirota.com.